We finished one QL-360F Cereal Bar Forming Machine for an Algeria customer, and made delivery. Cereal Fit Bar Forming Machine is used to produce cereal bar, muesli fit bar or granola block with various shapes and sizes. 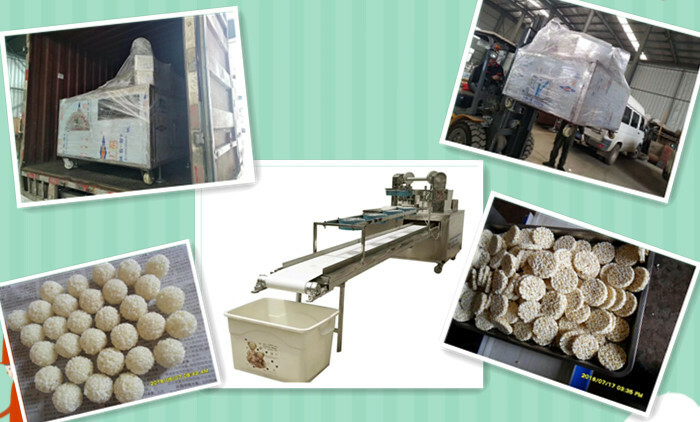 On Cereal Block Machine, we supply a mold with customized shape and size. To produce other shape or size, just change the mold easily. Energy Fit Bar Machine has combined many functions into one, such as feeding - Forming - Cooling - Ejecting - Conveying. Also, it could work with other equipment as complete line, such as Sugar Melting Pot, Material Mixer, Packing Machine, etc. For more details, please contact Dragons Machine for more details.